Jane StewartHaving a wonderful vacation with Katherine (right). I’ve learned the hard way — much to my mother’s delight — that not washing dirty laundry for three months is a terrible idea. But perhaps more importantly, I’ve learned that while losing luggage is a HUGE pain, there is potential for a happy ending. 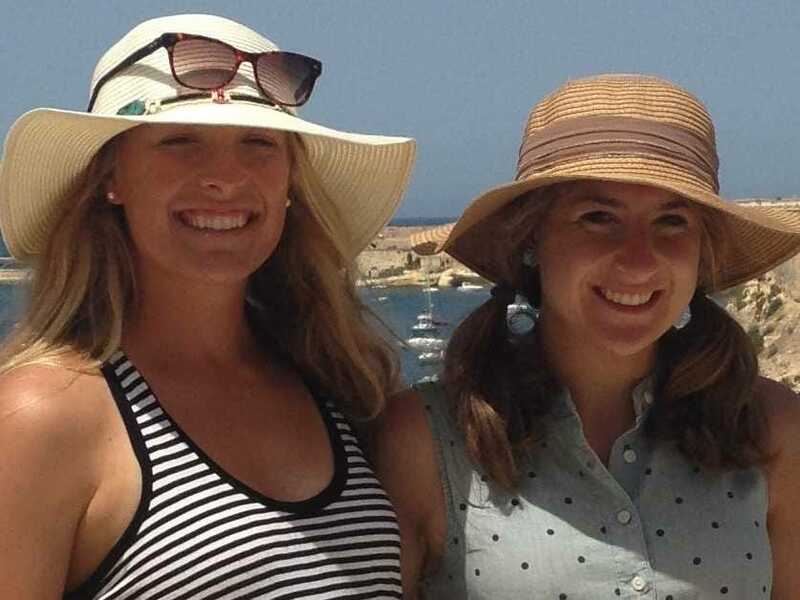 My sister Katherine and I went on a 15-day vacation to Malta this August. It was one of the most amazing trips of my life. But what matters for this tale is that we had no access to laundry machines during our trip, so we stuffed our dirty clothing into garbage bags inside our suitcases. To be economical (and have the chance to explore some other cities), we elected to take day-long layovers in Catania, Sicily and Munich, Germany. We didn’t want to lug around our suitcases so we jumped at the chance when the attendant at the Malta airport told us it was possible for our bags to meet us at Newark Airport when we arrived home two days later. We came to really regret this decision. We arrived home. Our bags did not. And thus began my odyssey. I understand Dave and Dolph’s frustrations. In the month following Lufthansa’s loss of our two bags, we phoned the Lufthansa Baggage Call Center daily to see if there were any updates. Each time we were told that there was no further information and that the bags remained “missing without a trace.” When we inquired about compensation, we were informed that we could only file a claim after the bags had been lost for 30 days. 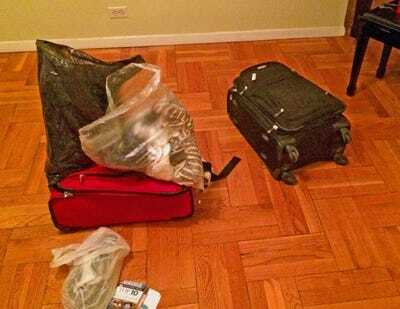 At that point, the airline would declare the bags irretrievably lost. API dreamed of my missing socks. In the meantime, we desperately scavenged for clothes in our significantly depleted wardrobes. The underwear situation was particularly desperate. We refused to purchase new items because we didn’t want to pay out of pocket for replacements. We elected to wait for compensation, which we hoped wouldn’t take too long. Our patience and understanding were thoroughly tested in the following couple months when Lufthansa didn’t get back to us. Although we sent several more emails (increasingly irate in tone) and called the Baggage Claim Center many more times (each time we were told that “the Baggage Claim Center has no involvement in customer compensation”), we received no further communications. Tactics included threatening legal action, leaving never-ending messages on their voicemail machine, and writing a letter to the New York Times to publicize Lufthansa’s infamy and inquire about potential next steps. Growing battle-weary, we never actually did any of these things. As the seasons changed, our frustration stemmed less from the lack of clothing (the underwear supply remained desperate) and more from Lufthansa’s silence. We felt like we were being punished for Lufthansa’s error. We had made detailed lists of the contents in our bags in readiness for filing our claim and we estimated that we had each lost at least $US1,500.00. With sufficient compensation, we knew almost everything could be replaced. There were a few items — a souvenir Maltese cross cookie cutter and my journal of 3 years in which I had recorded the major dramas of my young life — that were irreplaceable, and we particularly lamented the loss of these. As we approached the 3-month anniversary of the incident, we had basically given up hope. 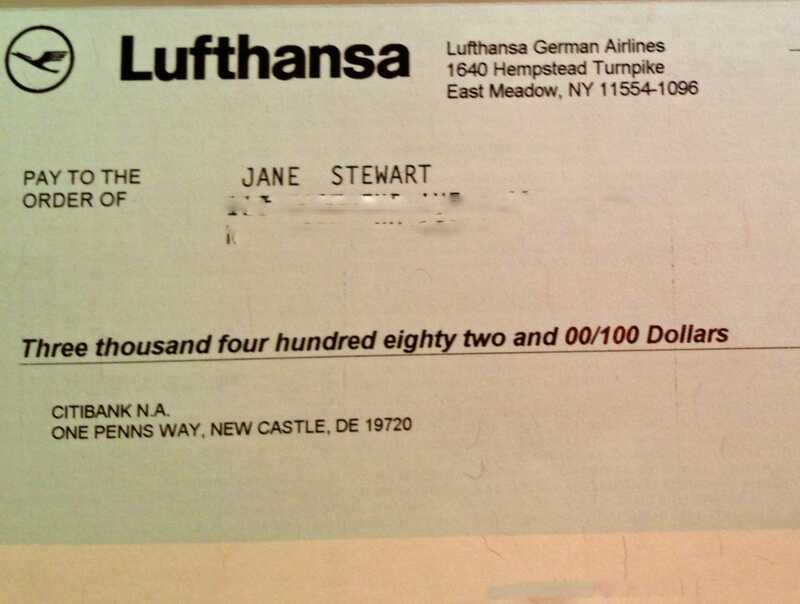 We had accepted that our belongings were lost forever and we were starting to believe that Lufthansa would never give us the money we were owed. It was around this time of hopeless resignation, however, that Newark Airport randomly called us one evening. They said one of our bags had been discovered. It arrived soon thereafter. To my delight, the rediscovered bag was mine! Katherine StewartReturned luggage and smelly laundry. Oddly enough, an hour later, the second suitcase arrived at our door. No explanation. Where had the suitcases been hiding for 3 months? Why had they arrived on the same day but at different times? “They must’ve been on an extended vacation to Paris or Hawaii,” my dad speculated, overcome by the absurdity of the situation. Upon opening the aforementioned dirty-clothes bags for the first time in three months, we were overwhelmed by the emanating odours. While my mother lamented that these gross items were entering her house, we celebrated the safe return of all of our belongings (especially the cookie cutter and my diary). We also rediscovered 2 packages of Maltese nougat that we had purchased for our mother, a self proclaimed “nougat snob.” We opened the nougat that very night and had to throw it away. Apparently even the finest nougat shouldn’t be stored in suitcases with dirty clothes for several months. My mum wanted us to just throw everything away, but when we stubbornly (and sensibly) refused, she insisted that we put everything out on the deck. “There’s no way that gross stuff is staying in this house!” It took us a couple weeks to finish the laundry because she required that we wash each load no fewer than 3 times. Linda StewartHe’s named Crosseye for a reason. 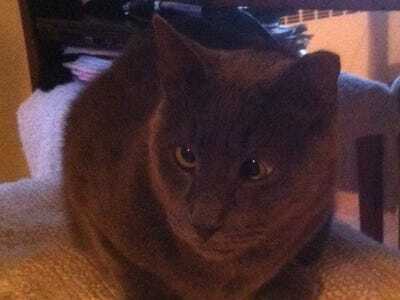 Within that time, however, one of our cats had discovered my odorous suitcase. Understandably confusing it for his cat box (he is cross-eyed so the visual differences might have been unclear but it smelled powerfully of “toilet”), he proceeded to use it as his bathroom. The clothing was spared this soiling, but the already malodorous suitcase was, at last, relegated to the garbage. The return of our summer wardrobes wasn’t as useful as it might’ve been since it was the end of October at that point. However, the wide selection of underwear and socks to choose from each day was positively luxurious. Life couldn’t be better! Jane StewartChristmas came early this year! We were each promised a check for $US1,741.00 in the next 21 days. This seemingly random sum, as we were informed in the email, is determined by Special Drawing Rights, a form of money created by the International Monetary Fund that is used to settle international disputes. 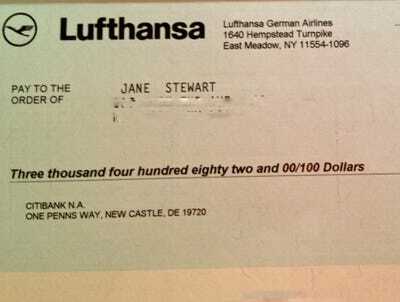 Somehow, we were being awarded maximum compensation for Lufthansa’s peculiar handling of our luggage. In fact, this seems just, given the months of frustration and ultimate demise of several items, including the luggage itself. Or maybe we should use the money to take road trip to Alabama for a shopping spree at the Unclaimed Baggage Center. This, I discovered, is where bags end up when they go missing. The store occupies an entire block in Scottsboro, AL and is one of the state’s top tourist attractions. It draws visitors from all 50 states and another 40 foreign countries. As one can imagine, there is a wide range of merchandise to choose from (everything from fine jewels to someone else’s ashes). And there’s no need to fret about bedbugs – all items are professionally cleaned! I’m considering writing a song about my experience so I can become a YouTube sensation like Dave Carroll. I’m not very musically talented, but my song (unlike Carroll’s) would feature an appealingly happy ending. ‘Lufthansa Returns Soiled Laundry’ does have a catchy ring to it.